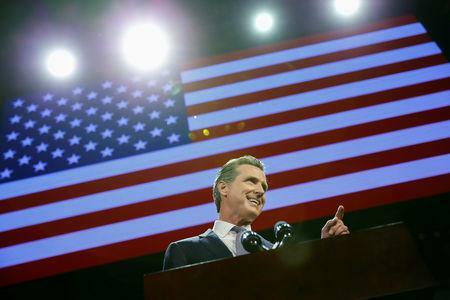 SACRAMENTO, Calif. (Reuters) - California Governor Gavin Newsom on Monday signed an order withdrawing more than two-thirds of the state's National Guard troops from the U.S.-Mexico border, calling claims of an illegal immigration crisis there nothing but "political theater." "This whole border issue is a manufactured crisis. 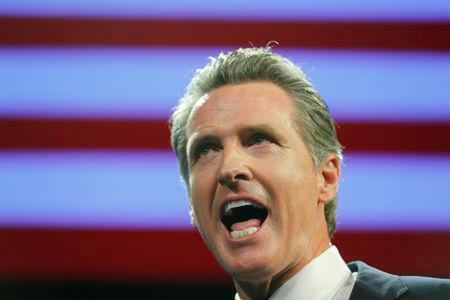 We are not interested in participating in this political theater," Newsom said at an afternoon news conference in Sacramento. The governor, a Democrat who took office in January, said border crossings were at their lowest level since 1971 and that the state's undocumented population had dropped to a more than 10-year low. "This is pure politics, period full stop," he said. Trump's demand for $5.7 billion to help build that wall was central to a 35-day partial U.S. government shutdown that ended last month. He agreed to reopen the government for three weeks to allow lawmakers time to find a compromise and avert another shutdown on Feb. 15. Newsom's predecessor, Governor Jerry Brown, agreed to send National Guard troops to the border last April after reaching agreement with the Trump administration that they would focus on fighting criminal gangs and smugglers and not enforce immigration laws. New Mexico Governor Michelle Lujan Grisham last week ordered the withdrawal of most National Guard troops deployed at the border by her Republican predecessor at Trump's request last year. "We have to hold accountable those who are not participating in the legal cannabis market," he said. "These illegal grows are manifesting, getting bigger."